but we no longer publish the offers on the site. You have to SUBSCRIBE to our newsletter. Blog update 5/10/13: Click HERE for Tinsel & Tine's thoughts on the movie. 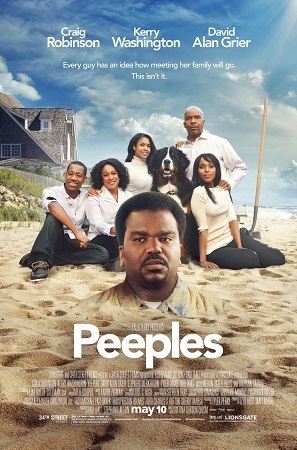 Tyler Perry presents Peeples, a new comedy starring Craig Robinson and Kerry Washington. 7:30pm (movie starts) arrive early to assure seating! Craig Robinson in the house! Wade Walker (Craig Robinson) crashes the preppy Peeples annual reunion in the Hamptons to ask for their precious daughter Grace's (Kerry Washington) hand in marriage. Feel like getting into the spirit of things? Send your family reunion picture to tinseltine@gmail.com to be posted here!